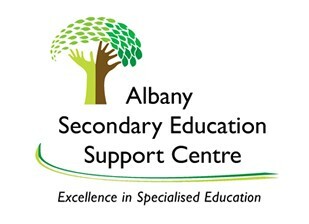 Our P&C is a combined NASHS & Albany Secondary Education Support Centre Association. New and existing parents / carers are very welcome to attend P&C meetings. The canteen is always looking for volunteers and so if you have a few spare hours please contact the school on 98920611. Our P&C provides the forum for parents, teachers and citizens to collaborate to continuously improve our schools, North Albany Senior High School and Albany Secondary Education Support Centre. We meet twice a term and always welcome new faces. Each year office bearers for the P&C are elected at the AGM. This year we are looking for new people and ideas for all positions. Volunteers who take on these positions will be given good support and training, no previous experience required. You get a behind‐the‐scenes look at your child’s school. The NASHS and ASESC Principals, Sharon Doohan and Kaye Stevens, participate in the meetings, and we get to hear from them some of the great things that have been happening at school – things that often aren’t in the newsletters. We get asked our opinions on school matters, and get to have an input in some decisions. We have the opportunity to ask questions about school policies and procedures, and get things clarified. The P & C is a way for parents to be heard, and to be a valued voice in the community. company, and share a cuppa! Runs NASHS canteen with employed staff (no volunteers) every day of the week. Sell school polo shirts and sport tops and jackets through the canteen, at discounted prices as a service to school families. Fundraising is used to provide facilities and resources for the students eg lockers, outdoor seating, iPads, Endeavour Awards, outdoor table tennis table and support ASESC Unity Days.